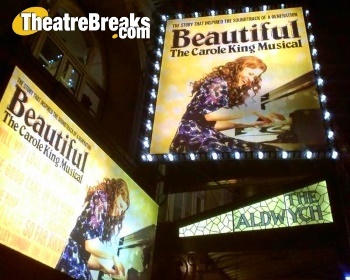 Olivier Award winners Beautiful : The Carole King Musical and Sunny Afternoon led the ’60s revival with the former doing exactly what it says on the packet bringing us numerous hits from American songtress Carole King who began her musical career in 1960 and wrote far too many songs to mention here, but included Will You Love Me Tomorrow, It Might As Well Rain Until September, Take Good Care Of My Baby, Up On The Roof, Locomotion, One Fine Day, You’ve Got A Friend, (You Make Me Feel Like) A Natural Woman and I Feel the Earth Move. As well as having some amazing music, this was primarily a love story as uplifting as it is ultimately heart-breaking. The musical which told the story of ’60’s British band The Kinks, Sunny Afternoon, was packing the auditorium full to bursting each night at the Harold Pinter theatre. With the actors playing live on stage, the atmosphere in the theatre was electrifying with hits and humour giving the show a party feel that gets you up on your feet and dancing in the aisles. There was a definite sixties club feel in the stalls with the stage protruding into the seating area and tables available to book right at the front where you could enjoy the show up close and personal. No need to be a dedicated follower of fashion to love this sensational sixties extravaganza! Returning to London for the millionth time (ok, so it was its fourth time, but still!) was the four mop top boys from Liverpool in the Beatles tribute show Let It Be. Again, the actors were all accomplished musicians and play live on stage singing 40 of the Fab Four’s greatest hits from their early releases through to their flower power Sergeant Pepper days and beyond. Whether you are a die-hard Beatles fan or not even born in the sixties, you got a definite buzz from this exceptional multi-media musical at the Garrick theatre. Sherry, Big Girls Don’t Cry, Walk Like A Man, Bye Bye Baby, Rag Doll – even if you don’t immediately know who wrote and sang these songs, chances are you’ve heard them countless times on the radio over the years. And once heard, they are so catchy you’ll be singing them for days afterwards. The writing credits go to Bob Guadio… still not ringing any bells? The vocal talents are that of Frankie Valli and of course, the two of them make up half of the incredible sixties group The Four Seasons. 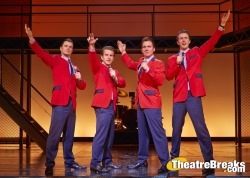 Lasting nine years in the West End the award winning Jersey Boys, at the Piccadilly theatre, was a brilliant piece of theatre and the singing of the lead actor who played Frankie Valli (British born Michael Watson) was jaw-droppingly good. 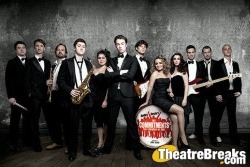 Although not actually set in the 1960s, The Commitments, at the Palace theatre, featured a hoard of soulful hits from that decade with fabulous renditions of Mustang Sally, Try A Little Tenderness, Heard It Through the Grapevine and In The Midnight Hour. In fact there were 20 soul classics, that were originally released between 1965 – 1971, packed into this fast paced hilarious show which followed a group of young (and some not so young) Dubliners trying to be “the finest soul band Dublin has ever produced”. But will they succeed!? And so we come around to the only 60’s musical that is currently still on in London. 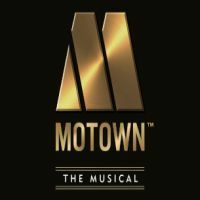 Motown the Musical which opened at the Shaftesbury theatre in February 2016 is the only one of the crop that is still going. Already a huge hit in London, Motown features over 50 instantly recognisable songs from the likes of Smokey Robinson, Michael Jackson, Mary Wells, Jackie Wilson and Diana Ross. Read more information about Motown. Obviously I am far too much of a gentleman to ask whether you remember the ’60s but, whether you do remember it or not, I hope you can agree that, watching an award winning show with a soundtrack from that particular decade, sounds like a great way to spend an evening at the theatre! Tina – The Tina Turner Musical opens at the Aldwych Theatre in 2018. With music starting in the 60’s – she released River Deep Mountiain High in 1966 – It is certainly set to join the long list of hit shows with their heart and soul in the fab 60s!